The Winery is where the magic happens—from planting to harvest to what you’ll sip during your visit. Our owner, Ben Renshaw, is also our winegrower. 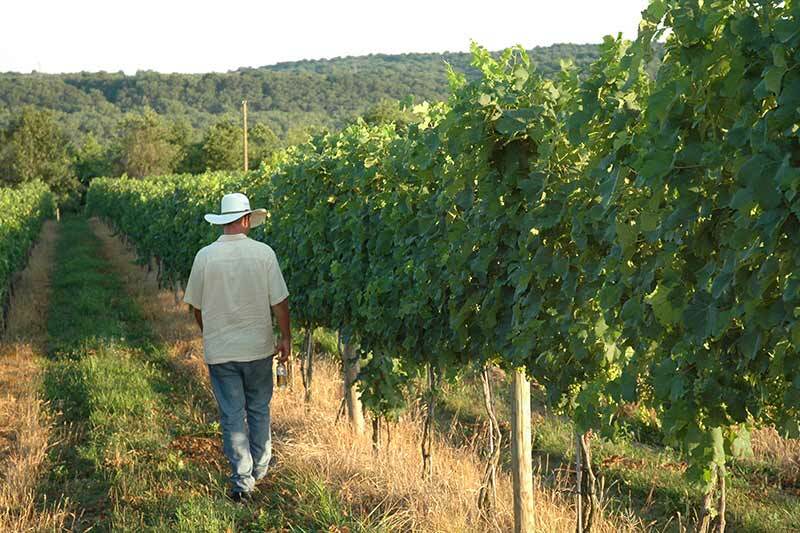 He handles all cultivation and management of the vineyards and handcrafts our wines in a French style, focusing on Bordeaux grapes that grow well in our climate. He also makes wine under a separate brand using whole fruit from Washington state. The limited amount of fruit we bring in from out west is from the same vineyards every year, all of which employ like-minded philosophy. Nearly all of our wines are dry and well-balanced. Try a tasting today! Estate grown on two separate vineyards. Aromatic, lean and crisp, yet nicely rounded on the palate. Great acidity and structure. A semi-dry Viognier cold fermented in stainless steel. Notes of red berry with well-balanced acidity. The wine gets its pink color from the addition of Syrah and Mourvèdre. Estate grown. Our signature white blend of Sauvignon Blanc, Viognier, Albariño and Traminette. Light-bodied and fresh with subtropical fruit notes and bright acidity. Estate grown. Aged sur lie for 10 months in French oak. Tropical notes of dried pineapple and stone fruit, with toasty vanilla. Estate grown. Our signature Bordeaux blend with overtones of black cherry. Aged 12 months as varietals, then six months as a blend. Estate grown. 100% Petit Verdot with plum and cassis on the nose, a rich palate and long tannic finish. Aged 15 months in French and American barrels. Sourced from the Yakima Valley AVA. Fruit forward with a smoky finish. Medium-bodied in texture, but with a full palate and sense of minerality. Aged 10 months in American oak. Grapes from Les Collines Vineyards, Walla Walla, Washington. Note dried herbs, black pepper, and intense flavor concentration. Aged 18 months in French and Minnesota oak. Estate grown. Full-bodied, ruby in color, with classic varietal characteristics. Fruit-forward with undertones of boysenberry and cedar. Aged 18 months in Virginia and French oak. Les Collines and Crawford Vineyard grapes. A dry full-bodied red blend with dark cherry and black pepper. Aged two years, first as varietals, then as a blend in American oak. Sourced from Crawford Vineyards in Yakima Valley, Washington. A classic fruit nose, with great structure and minerality. Aged nine months in American and French oak. Grapes from Crawford Vineyards, Yakima Valley, Washington. Black cherry overtones and a lingering tannic finish. Aged 16 months in oak from Virginia, Minnesota and Appalachia. Wine Club exclusive. A fruit forward, full-bodied red blend of Malbec, Tempranillo, Cabernet Sauvignon, and Cabernet Franc. Aged 22 months in French and American oak. 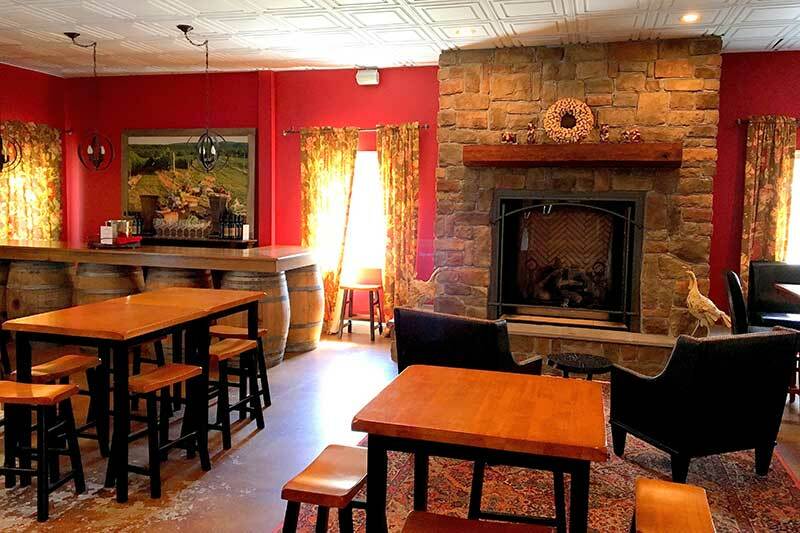 The Tasting Room offers guests a spacious, yet intimate setting—cozy chairs, seating for small groups, and some fun and funky decorative touches. It is welcoming and comfortable and will make you want to buy a bottle and stay a while—for the wine, the view, weekly music, and camaraderie. In cooler weather, warm up by the roaring fireplace. And during the season, you’ll love the covered patio’s southern exposure, which overlooks our Waterford vineyard. In addition to being family-friendly, we also allow leashed dogs in the Tasting Room and on the patio. In the separate fenced dog park, our four-legged guests may play off the leash and make new friends. 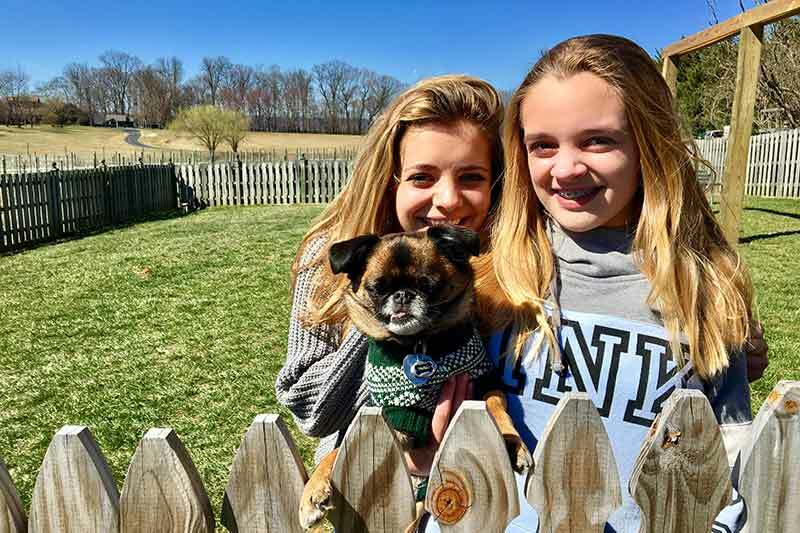 Take a look at some of our furry visitors and make sure to read our Dog Policy before you come. 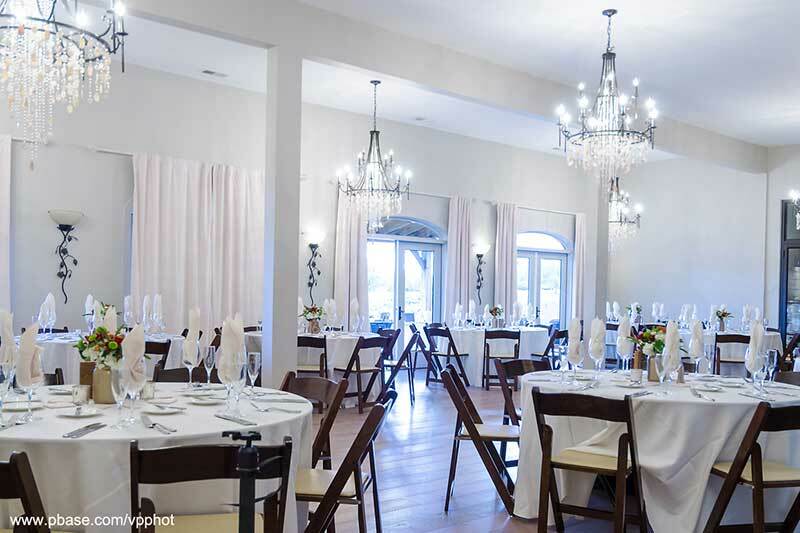 The Compass Rose Room is an ideal location for corporate or private events or special occasions such as weddings. It boasts a large open space with high ceilings, elegant lighting, cork-covered walls, and multiple French doors opening onto the patio with a view of the vineyard. There is a view into the barrel room/production, and the Compass Rose Room has its own entrance and restroom facilities. There is also an adjacent kitchen, suitable for caterer set up and service. The patio leads to a large fenced lawn area. There’s room for a game of corn hole. You’ll enjoy gazing at the softly rolling landscape, and in the evenings you may often see the Winegrower walking the rows with his two German Shepherds. 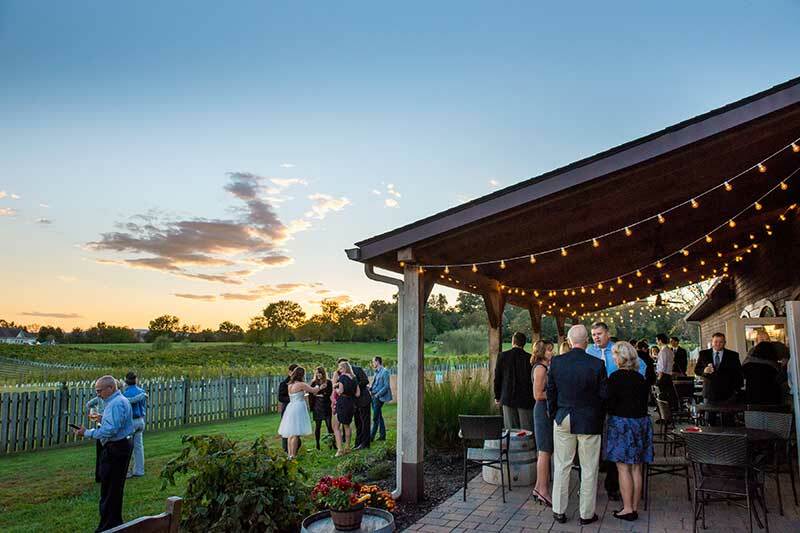 The sunsets are lovely and serene, and the setting is a natural for wedding ceremonies, offering a spectacular vineyard backdrop. We also offer reserved seating for large groups or small- to-medium private parties under our 20′ x 40′ tent. 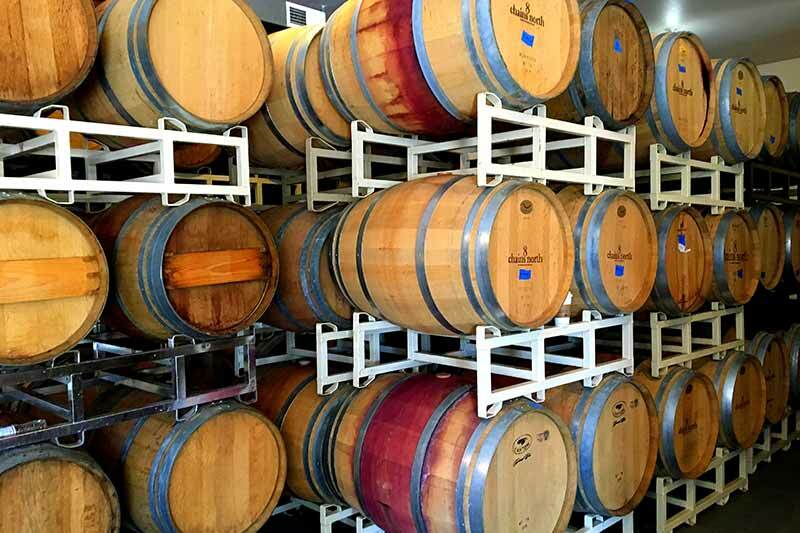 In the Production Room, you’ll find French and American oak barrels (and a few puncheons! ), stainless steel tanks, and all the equipment needed to manage the vineyards, harvest grapes, process, ferment, and age the wine. All winemaking is done on site at the Waterford location—usually right in front of the building. Bottling occurs by mobile truck, also in the parking lot. 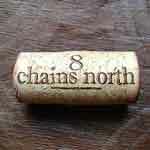 Currently, 8 Chains North owns and farms two vineyards with about 10 acres of mature vines. The original vineyard along the Potomac River, Furnace Mountain, includes Merlot, Malbec, Petit Verdot and Traminette. The Waterford Vineyard, where the winery is located, produces Sauvignon Blanc, Albariño, Viognier, and Cabernet Franc. We recently sold a third vineyard south of Purcellville, Va. that yielded harvests of Cabernet Sauvignon, Petit Verdot, Cabernet Franc, Chardonnay, Sauvignon Blanc, Viognier, and Albariño. We are in the process of purchasing another large property to plant in the spring of 2019.